Feb. 8, 2019 - On February 1, The EU announced its long-anticipated creation INSTEX.  Short for Instrument in Support of Trade Exchanges, the company is co-managed by France, Germany, and the UK, and was initially supposed to help set up an alternative trade route for companies to buy Iranian goods (mainly raw oil) and sell the country whatever it wants without fearing the wrath of U.S. sanctions. But the resulting INSTEX, which isn’t even operational yet, turns out to be a malnourished feliformia branded as a tiger. At first, the faction of Iranian regime President Hassan Rouhani, who really needed something to show for themselves and had gambled a lot of capital on Europe to rescue the mullahs’ dictatorship, welcomed the measure, but as the details INSTEX became known, they too started to express their reservations. Europe has conditioned the operation of INSTEX to Iran passing the FATF bills, which made the Iranian mullahs furious. FATF is the de facto world ant–money laundering and ant–terrorism financing body, two things that are bread and butter to the theocracy sitting in Tehran. On February 4, while in parliament to introduce his new minister of health and medical education, Rouhani used the opportunity to raise the issue of the remaining two FATF-related bills and asked the parliament to pass the anti-money laundering bill that the government has proposed. Behind the scenes, the Iranian regime is really concerned about the outcome of FATF and has already accepted that Europe’s feline is in the CCU before being even born and thus is trying to abide to its rules and conditions. The Iranian regime fears to show its weak hand and position and is turning its confrontational, albeit hollow, rhetoric louder. Truth is that the Iranian regime finds itself in a dead-end when it comes to anti-money laundering laws. Regardless of whether Iran chooses to pass the FATF laws or not, and consequently is blacklisted by the anti-money laundering body or not, the consequences are a double-edged sword for the mullahs in Tehran. If the Iranian regime conforms to international financial transparency standards, its main business and strategic asset, especially in the Middle East, is vaporized with one stroke of the pen. The Islamic Republic’s philosophy is founded in exporting death and destruction to other countries, branded as revolution and Islam. Think the medieval Catholic Church and the crusades, but in its 21st-century form, and you get the general idea of what’s happening with Iran reaching its tentacle like an octopus to far reaching lands. And if it doesn’t pass the laws, FATF will blacklist Iran and even China and Russia will have a hard time to continue trading with the country. Already facing as crumbling economy suffering from four decades of mismanagement, corruption, nepotism, and kleptocracy, the thin layer of legitimacy the Iranian mullahs managed to retain for themselves is fast vanishing. And facing the FATF dead-end, opposing ruling factions are reaching for one another’s throats.